A root canal therapy is a dental procedure used to repair a tooth that is badly decayed or infected. This procedure is typically performed when the pulp (the innermost portion) of the tooth becomes damaged or infected. During this therapy, the pulp is completely removed and the inside chamber of the tooth is cleaned and sealed. A root canal is one of the many dental procedures that have benefited from modern medical technology and techniques. While root canals used to be scary and painful, they can now be performed more efficiently with minimal discomfort. Getting a root canal can restore your tooth and general oral health. A cavity is a common problem caused by plaque buildup that eventually leads to tooth decay. While they range in size and severity, cavities can typically be treated with a tooth-colored filling. This procedure involves the use of a composite material to fill the tooth after the decayed area on the surface of the enamel is cleaned away. If a cavity is not diagnosed and treated, the infection can spread from the surface of the tooth into the pulp. Once this happens, a root canal is required to remove the infected interior pulp. If the infection is still not treated, it can spread to your other teeth as well as your gums, jaw, and blood stream. As you can see, it's easier to have the problem diagnosed and treated earlier. This is one of the reasons DentalWorks - High Point advocates everyone in High Point, NC get annual oral health exams by a board-certified dentist. Digital x-rays and other tools help your dentist catch cavities before you need a root canal or tooth extraction. Like many dental problems, a toothache is a sign that you might need a root canal. The pain in your tooth may be constant or only when you try to chew. Another common sign of an infected tooth is sensitivity to hot and cold temperatures. Discoloration or darkening of the tooth as well as swelling and tenderness of the gums could also suggest the need for root canal therapy. Sometimes, infection of the nerves and pulp of a tooth could lead to persistent sores on the gums around the tooth. If you have any of these signs, you should contact a dentist in High Point, NC to schedule an appointment for an oral health exam as soon as possible. Bring a list of your symptoms and when they appeared to help your dentist diagnose your problem. Root canal therapy can be performed by your dentist or an endodontist, typically in one visit. The first step is to take digital x-rays of your mouth to evaluate if the infection has affected the surrounding areas. Next, your dentist will numb the area with local anesthesia to ensure you do not feel discomfort or pain during the procedure. Some form of sedation may be offered if you have dental phobias, or if you would prefer to be more comfortable while you undergo treatment. Next, to keep the tooth dry during the treatment, a member of your dental team will place a rubber dental dam around the tooth. Then, an access point will be gently made in the tooth using a dental drill. Through the hole, the pulp, bacteria, and any debris will be removed. This is done using a careful cleaning process that scrubs away any remaining bacteria. After the cleaning process is complete, the tooth will be filled and sealed. In many cases, your dentist will recommend putting a dental crown over the treated tooth for strength and protection. DentalWorks - High Point offers custom crowns that are made to blend seamlessly with your natural teeth. With the restoration, the tooth should be safe and will function like the rest of your teeth. Root canal therapy should very quickly and efficiently relieve any pain you felt before the procedure. Until your root canal therapy is finished and your restoration has been placed, it may be wise to avoid eating hard items. Your tooth will be fragile until the restoration is placed and could become re-contaminated if the tooth breaks before the procedure can be completed. 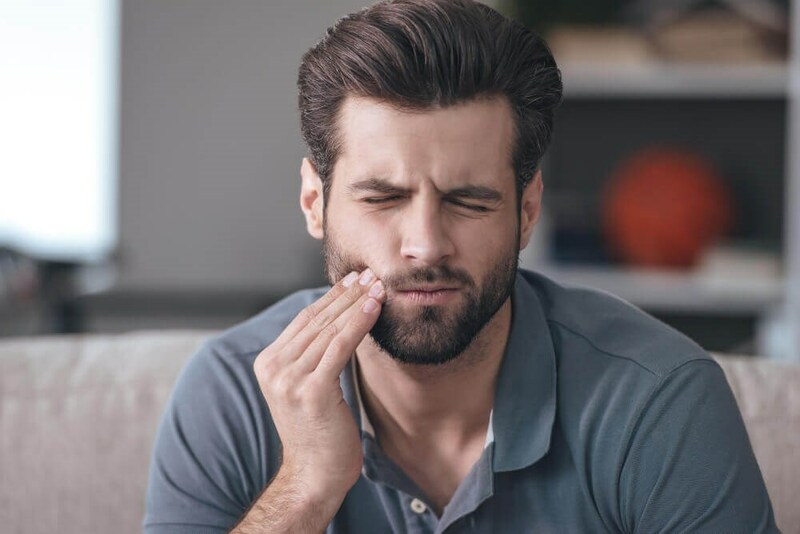 In the first few days following the treatment, your tooth may feel sensitive due to natural tissue inflammation, especially if there was pain before the procedure. Your dentist may prescribe pain medication to help you manage the discomfort. Typically, patients can return to their normal activities the next day. You should brush and floss your teeth as you typically would and continue visiting your dentist at normally scheduled intervals. CAN I AVOID GETTING A ROOT CANAL? Many teeth fixed with root canal therapy can last a long time; however, most people would be happier to never need a root canal. You can avoid needing a root canal by visiting a dentist in High Point, NC regularly for oral health exams and cleanings, as well as following a good home oral care routine with twice daily brushing and flossing. If you develop a cavity and it is found and treated early on, the decay will not become severe enough to damage your tooth’s pulp. If you're looking for a board-certified dentist in High Point, NC to take care of your family's teeth, contact DentalWorks - High Point to schedule an appointment. Our experienced team will help treat any existing issues and create a proactive treatment plan to help reduce your risk of a tooth infection that requires a root canal.